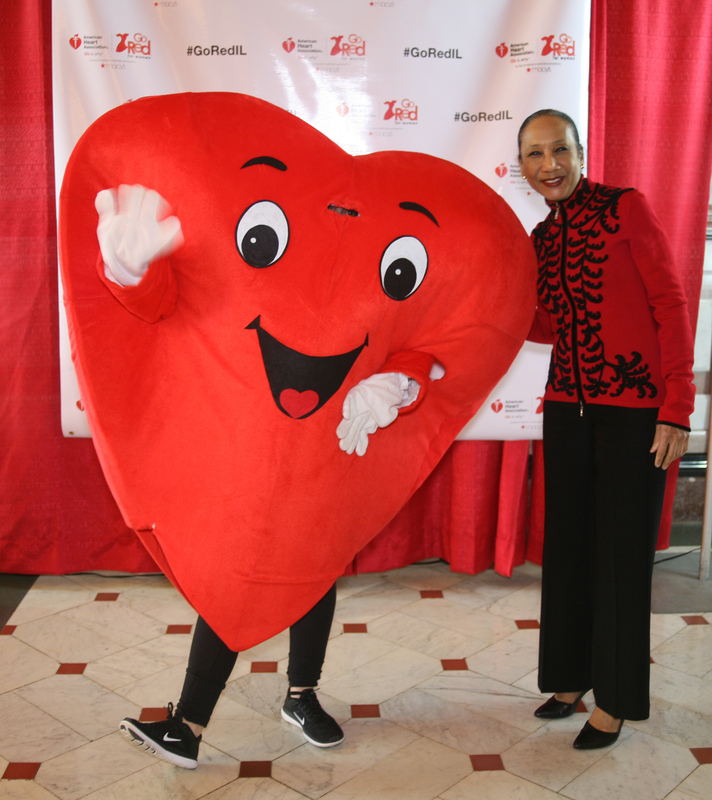 I joined representatives of the American Heart Association and my fellow members of the Illinois Conference of Women Legislators yesterday for 2017's Go Red For Women event. Heart disease kills far too many women each year. I stand with my fellow legislators to raise awareness and fight for women. SPRINGFIELD – State Sen. Jacqueline Collins, D-Chicago, issued the following statement following the governor’s budget address today, in which he called for more State Police to patrol the highways surrounding the city of Chicago. “Without a budget, the state loses $11 million a day. That cost is too high a price for our students and our seniors to pay,” Collins said. “In three years, we have yet to see a balanced budget from the Governor. The issues of term limits and worker’s compensation have nothing to do with proposing and presenting a budget. “The State of Illinois is teetering on financial ruin and instability. 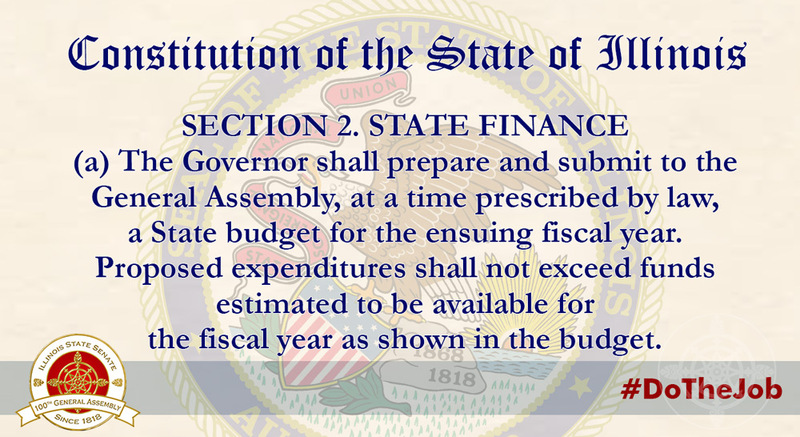 It is the Governor’s duty under the Illinois Constitution to present a budget. The rhetoric espoused by the Governor today originated in an alternative universe peppered with alternative facts. President Barack Obama's birthday may become the next state holiday, if some Illinois Democrats have their way. House Bills 231 and 503 and Senate Bill 55 all make Obama's birthday, Aug. 4, an official holiday. Both House bills would make Aug. 4 a "legal holiday," in which state government offices shut down, and schools and businesses have the option of closing. The Senate bill's "Barack Obama Day" would be commemorative only. Rep. Andre Thapedi, a Chicago Democrat who is sponsoring HB 231, had tried making Obama's birthday a state holiday last year, but the bill stalled in a House committee. 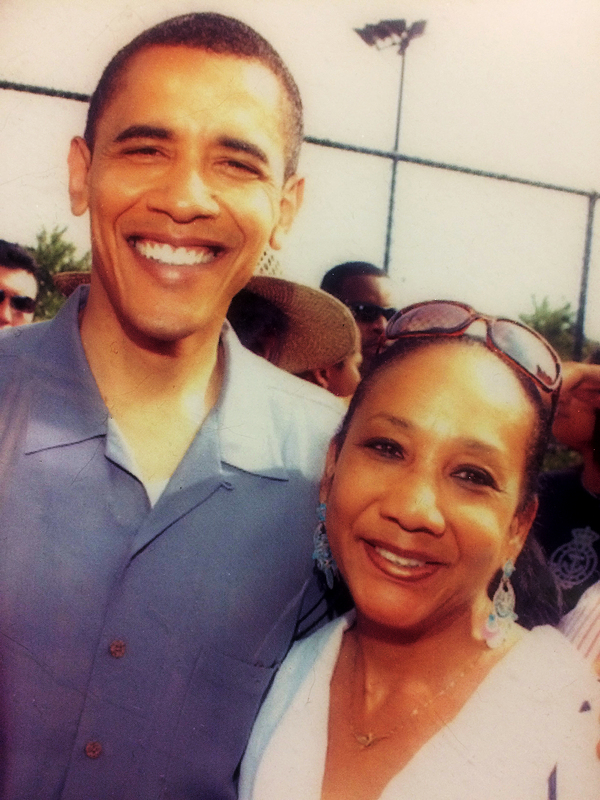 The chief co-sponsor of SB 55, Sen. Jacqueline Collins, D-Chicago, said she hopes Republicans can appreciate the achievements of the former president. "I hope we don't descend to what we see at the federal level," Collins said. "As a Democrat, I have no problem honoring President Lincoln. There should be reciprocity between parties, Obama belongs to Illinois, and Illinois belongs to all people, Republicans and Democrats." See the full article at the Peoria Journal-Star. Last year, as we began 2016 without a budget, I said that I wanted to see some understanding from the governor. That he understands the effect his policies have on real people. That he understands that these aren’t just numbers, but our seniors, our students, our social service providers, our disabled family members and our young college students who need grants to fund their higher education. This past Wednesday, as we heard the governor’s State of the State address, I was proud to host students from Northwestern University in Springfield. Driven, capable young people like this year's Truman Fellows, Olyvia Chinchilla, Imani Wilson, Kevin Corkran, Matthew Guzman and Kathleen Nganga, are among those who, for the past 18 months, have wondered whether the state of Illinois will ever cast aside partisan bickering and resume fulfilling its obligations. Students like these are going to be the future of Illinois, and the past two years have made them unsure whether a state that does not fund its universities is where they want to settle. Governor Rauner spoke of ensuring we are competitive enough as a state to be compassionate. Kathleen pointed out that prioritizing competition can often negatively impact those who are already marginalized. And I add that to be truly competitive, we must ensure a level playing field for all. That means funding higher education and fostering opportunity for students like Kathleen and her fellow students. As Governor Rauner tries to highlight positives, we are once again entering the year without a budget – not due to a lack of vision, but a lack of cooperation. The Senate has repeatedly put forth spending plans, and all have been rejected because the governor wishes to fight over non-budgetary concerns. We are still working on proposals aimed at breaking this impasse and funding the services that help the people of Illinois. As we do, I hope the governor will understand that compromise means setting aside oneself for the greater good.